A page on TigerLocal will showcase your business to hundreds of local people looking for a haulage company. So you'll get serious enquiries from new customers. We are a family run business based in West Wales. 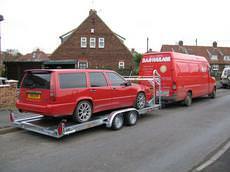 We specialise in the movement of Static Caravans throughout the UK. 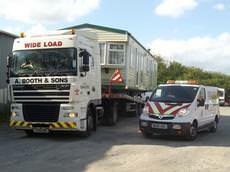 We can transport caravans from Tourers, 10ft Wide up to 14ft Wide and also can transport Twin Units. We are a forth generation family run haulage business based in the heart of Pembrokeshire, half an hour from both the Irish Ferries terminal @ Pembroke Dock & the Stenna terminal @ Fishguard. We are situated in North Shropshire bordering with Staffordshire and Cheshire. This puts us in an ideal location to serve our customers based North & South of the country. Based in Leeds Less than one mile from the M62 & five miles from the M1. 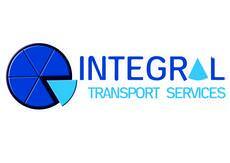 Operating since 2005 Integral Transport Services offer a cost effective same-day delivery service throughout the UK and all parts Europe. 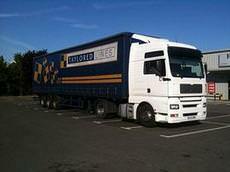 We offer specialist international haulage services. We give competitive quotes and offer a friendly service. We have weekly departures to Spain Italy and Germany. All other areas covered as well with full or part loads. David K Jeavons is a family run business based in staffordshire. We provide sand gravel and aggregate supplies throughout staffordshire and the midlands. 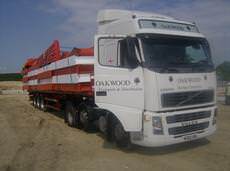 Oakwood Transport has been operating for over 25 years. 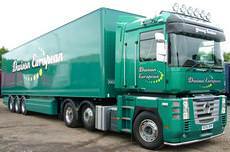 We have a large fleet of well presented vehicle's ranging from small vans, up to 44t tractor units, with curtain-side or flat-bed trailers available. 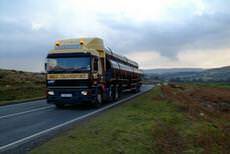 Pennington Haulage is a haulage contractor based close to the M6 motorway on the outskirts of Wigan. We're ideally situated to serve all our customers needs. 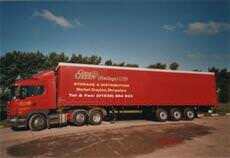 General haulage is the backbone activity and the core expertise of Redclock. We have expanded to encompass dedicated, urgent, delicate, storage and warehousing in addition to general transportation. 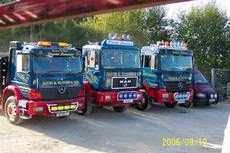 Reihill Transport Ltd is a family firm established over 35 years. We're specialists in the movement of Shop Fittings, Exhibitions, Glass, Fragile Items, High Value Goods & Multi-drop Deliveries. 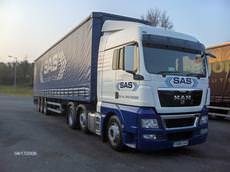 We are a Blue Chip International haulier and Specialized Logistics solution provider. Over the past eight years we have developed many niche and key skills to enable us to become a highly efficent and effective player. 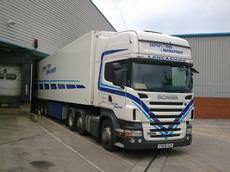 Sephton Transport offers a service of Temperature Controlled fresh produce storage and distribution. We are always interested to discuss and can offer solutions to any logistical problem that a customer may have. Transmode Logistics specialise in providing flexible road transport solutions for a wide range of customers, from international shipping lines and freight forwarders to major retailers and their distribution centres. Tudor services Bristol limited We are a long established Bristol based transport company specialising in conference, exhibition, theatrical and all types of event transport. 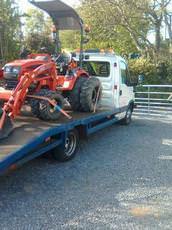 At West Wales Transport we can transport compact/small tractors, plant machinery (mini diggers, dumpers, bobcats,loaders etc). We also transport utv's - golf carts and farm implements etc. We also supply and transport small hay bales.